Inspired by Sperry Top-Siders, these shoes are perfect for play around the sea. 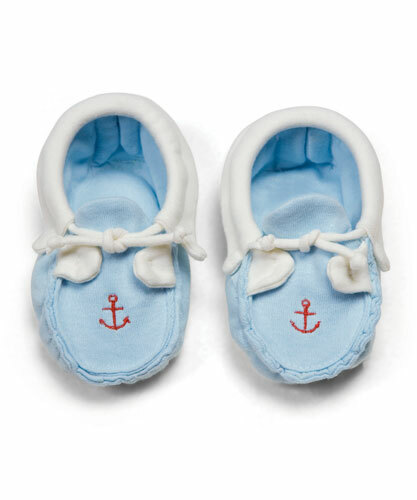 Soft blue and cream knit cotton with embroidered red anchors for an authentic nautical look. Machine wash cold on gentle cycle. Tumble dry with low heat.